Decoden Cupcake Necklace - Fueled by chile, frijoles & tortillas. The inner child that lives within me loves the pretty look of cupcakes. I don’t think I have to go into much of a rant here, because I’m sure many of you will agree. The one thing that I am not thrilled about when it comes to cupcakes are the calories. Real cupcakes pack a whole lot of those… as I’m sure most of you know pretty well too. For now, I will stick to just admiring these faux decoden cupcakes I have made for myself. 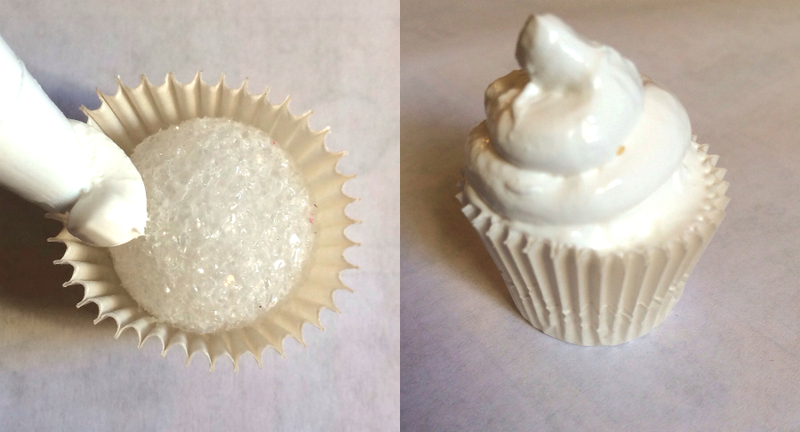 You can follow along with this easy step-by-step if you want to create your own wearable (and non-fat) mini cupcakes. 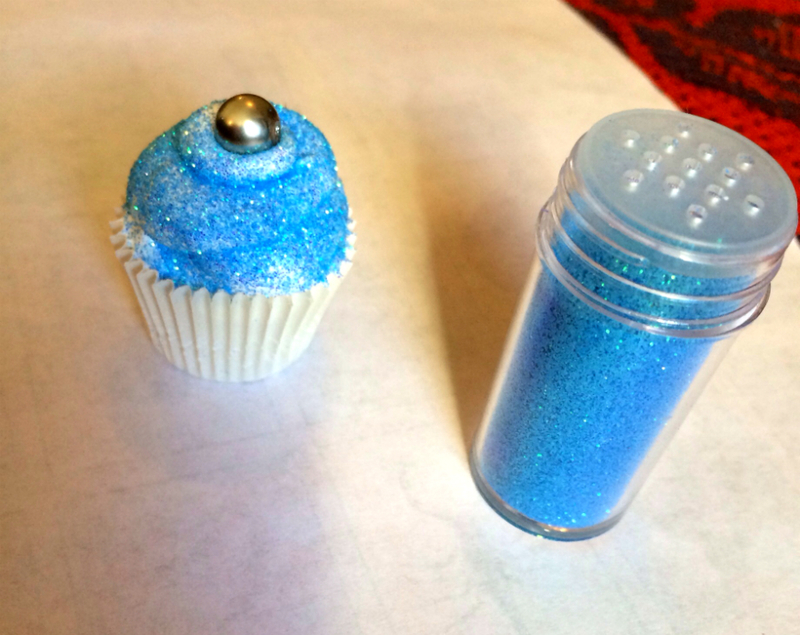 Step 1 (Supplies): Mini cupcake liners; Dap brand adhesive sealant; small styrofoam balls; glitter, beads, rhinestones, buttons, or anything else you want to use to decorate your cupcakes. 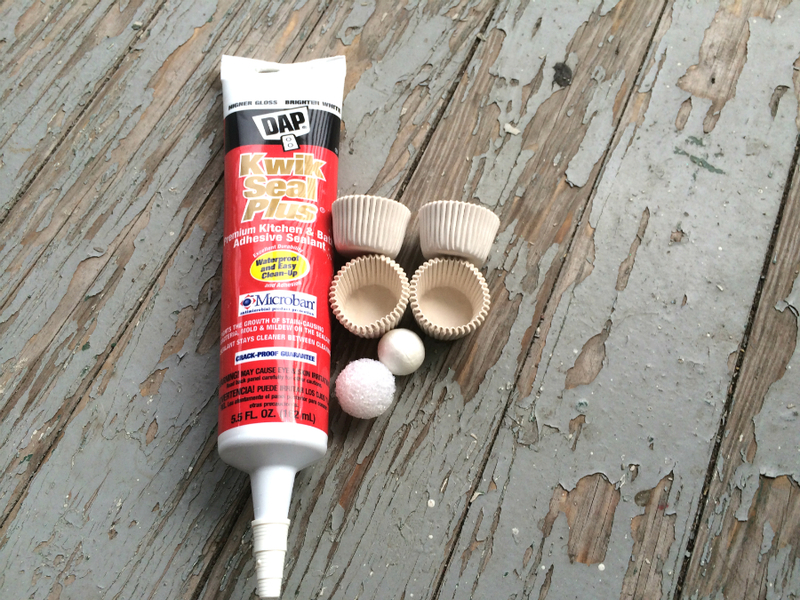 Step 2 & 3: Place the styrofoam balls into the mini cupcake liners; Fill the remaining space in the liner with Dap sealant. To get a high tip, work in an upward direction. Make sure to touch all sides of the liner with the sealant (it shrinks as it dries). TIP: Use piping bags and pastry decorative tips for easier application. Step 4: Decorate your cupcake to your heart’s desire! This is my favorite step. Step 5: Let your cupcakes dry for 24 hours before glazing them. 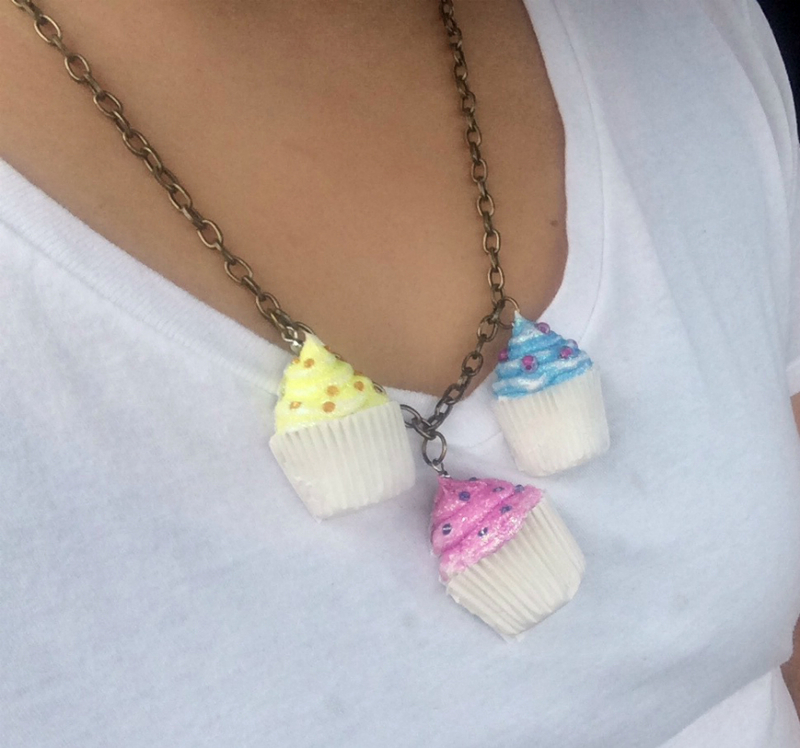 You can also add jewelry hardware at this stage to add your mini cupcakes to a necklace like mine. Happy crafting friends!